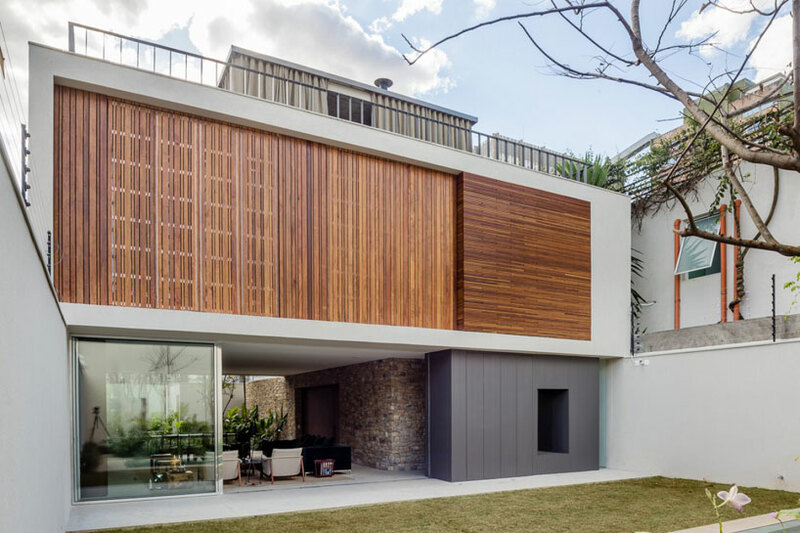 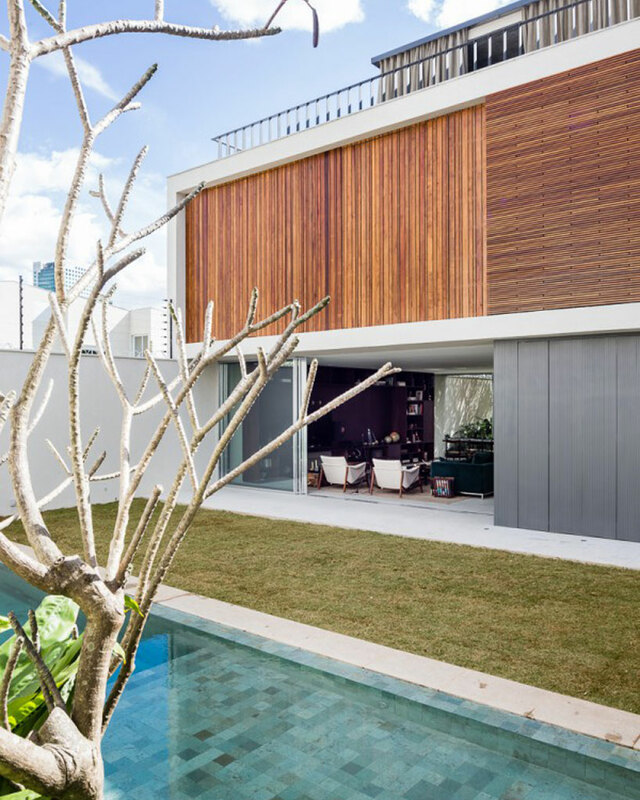 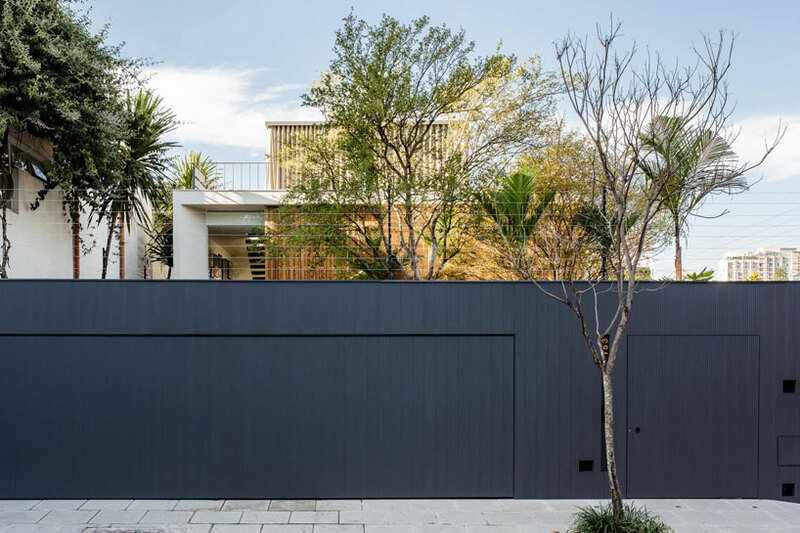 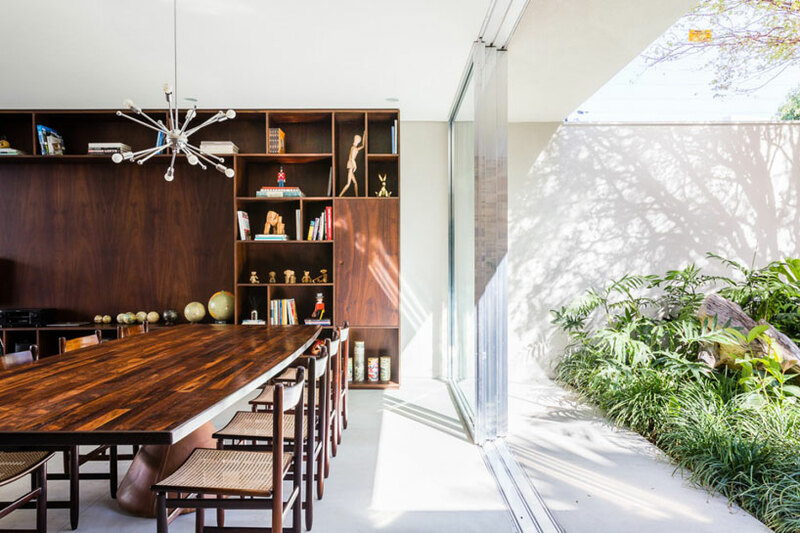 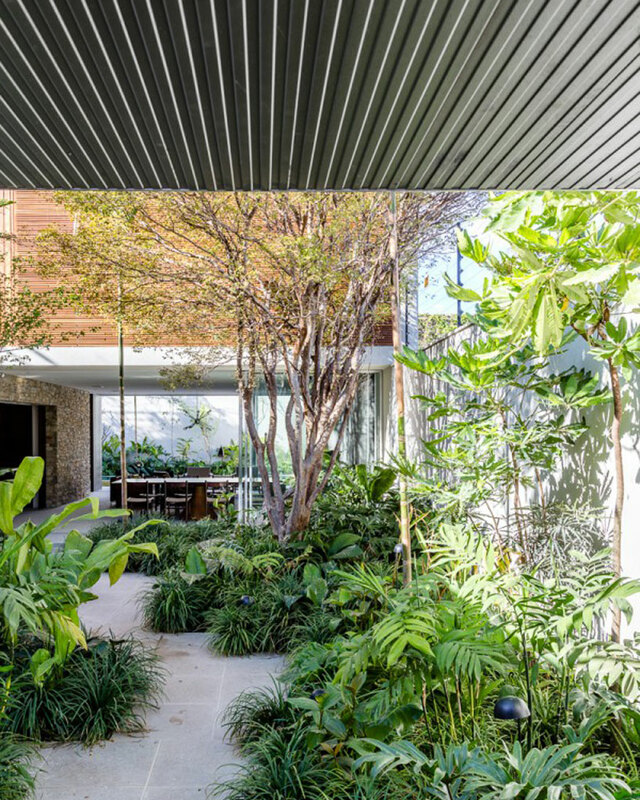 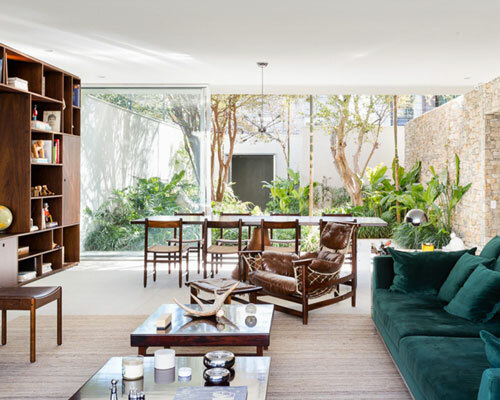 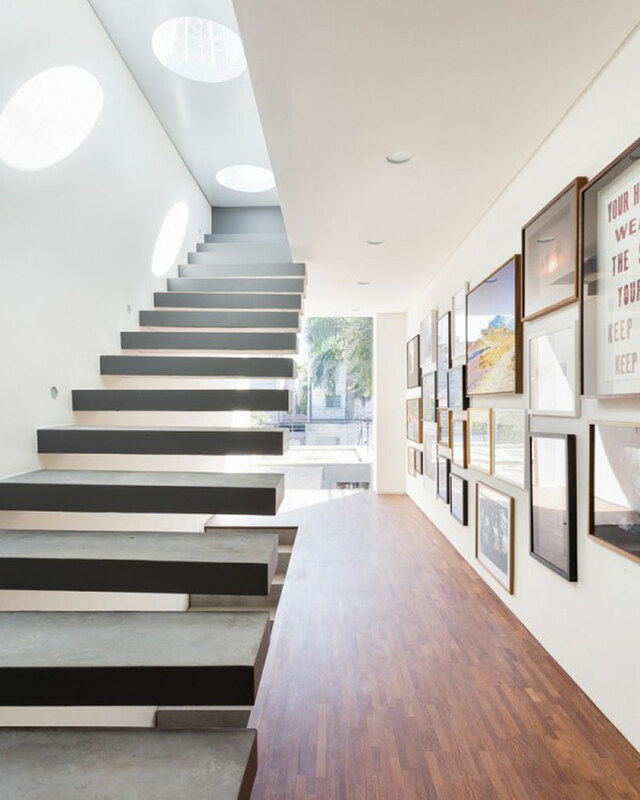 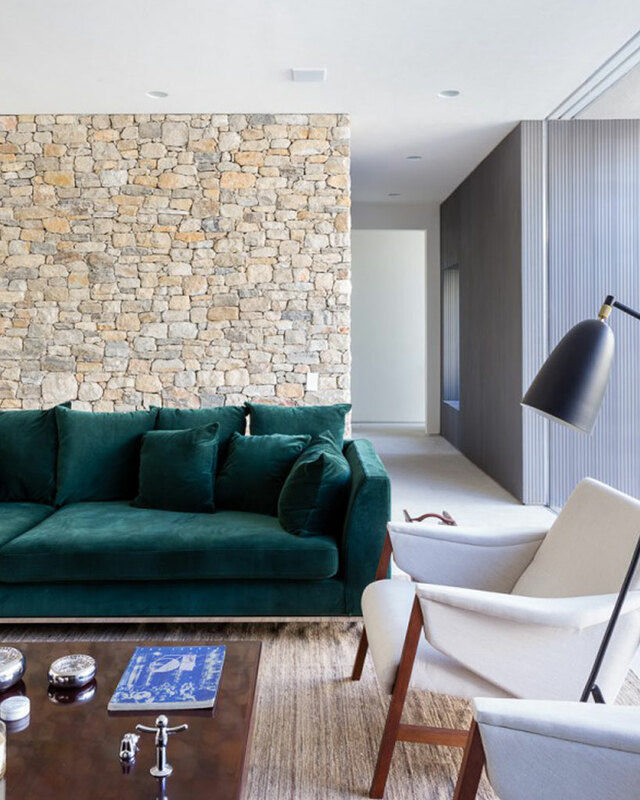 brazilian architect felipe hess has designed ‘casa lara’; a generous and light-filled home nestled in between two gardens on either side in são paulo. 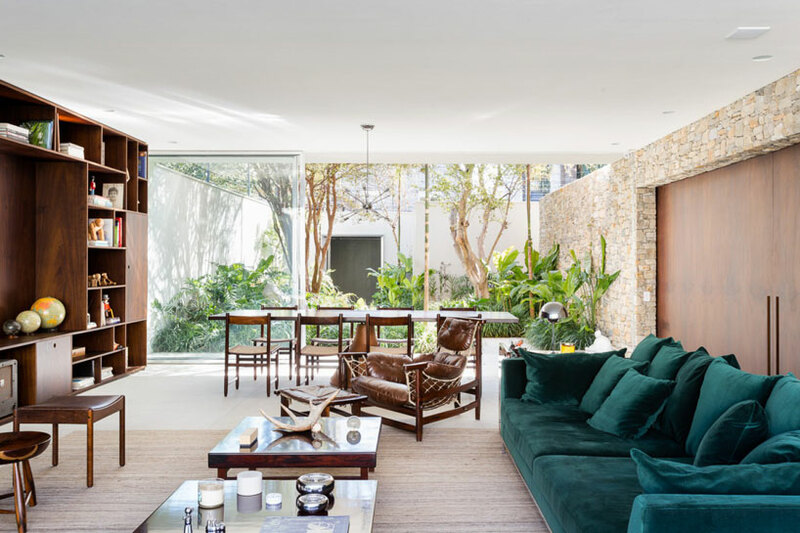 formed as three stacked volumes with contrasting materials and sizes, the living areas have been clustered together on the ground floor and decorated in a retro and contemporary style. 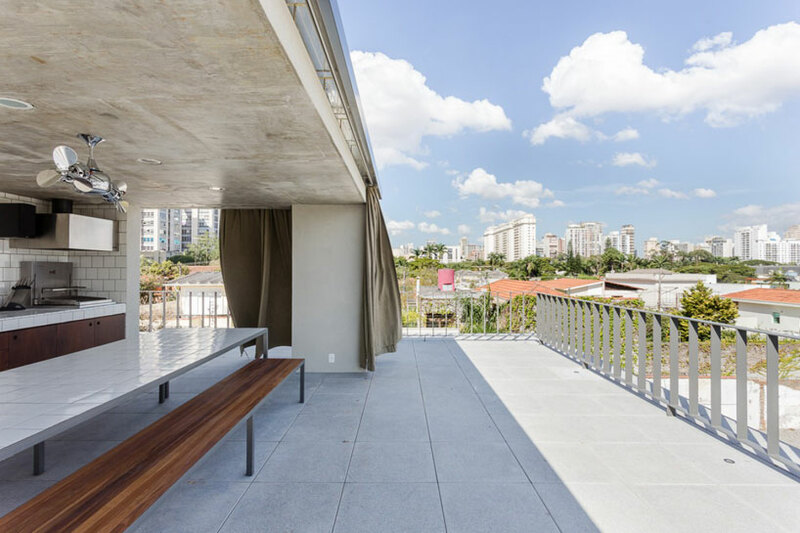 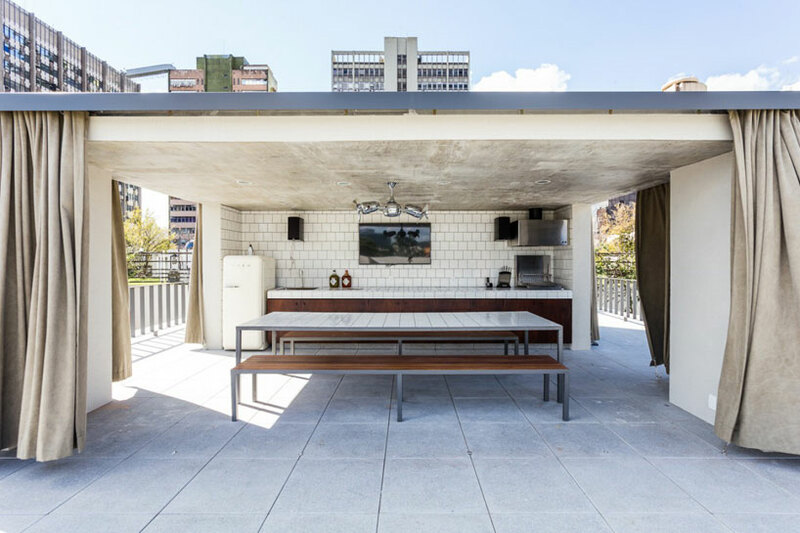 the home is then topped with a flat-roof, featuring a sun deck and a curtain-wrapped shelter which hosts an outdoor dining and kitchen area with panoramic views over the city. 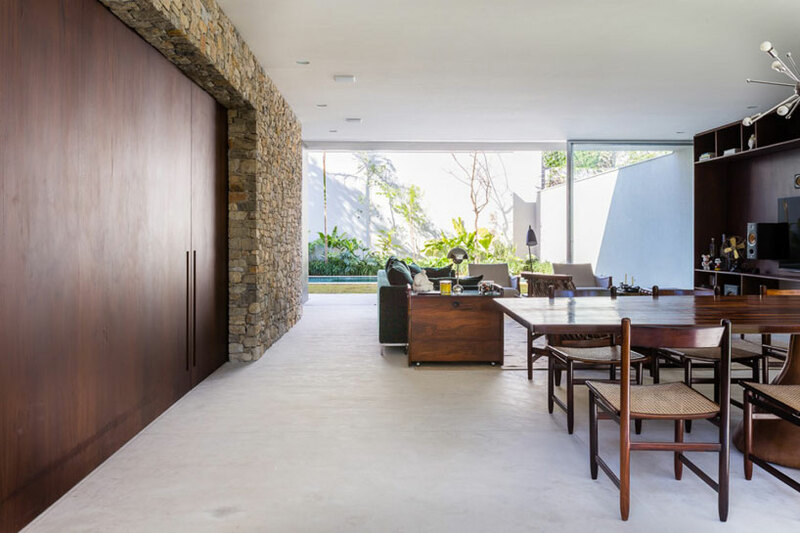 each floor and each space throughout the property has been organized to seamlessly merge with its unspoiled surroundings. 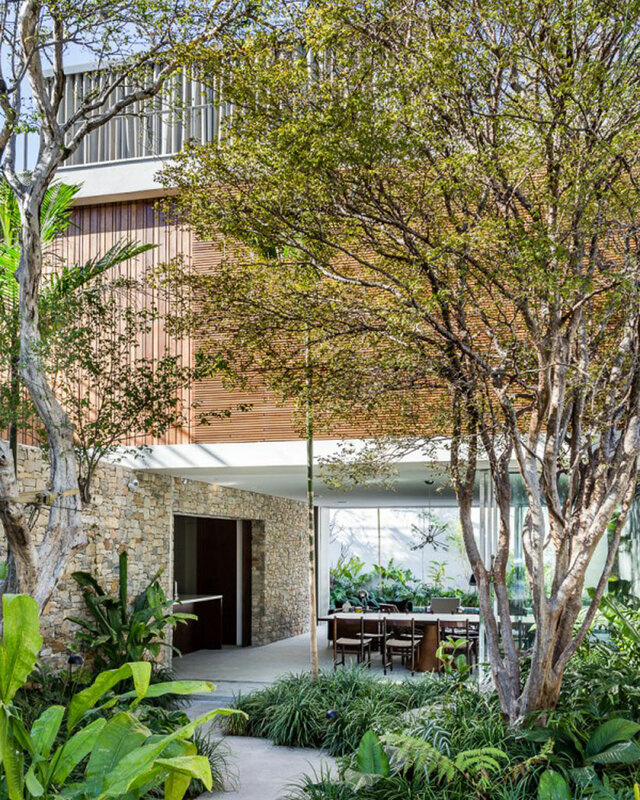 the front garden serves as an open-air lobby as well as a screen for privacy- obscuring the dynamic property from public view.